Failure hurts. No matter what field or task you are doing, when you fail, it is always painful. Heck, it doesn’t even have to be you who fail to feel the pain. Just seeing someone fail makes people shake heads and wag fingers. In the world of art, however, your mileage may vary: the Ecce Homo restoration failed quite spectacularly. Yet people all over come to see the most breathtaking failure in the modern art world and it also was able to create a controversy between the person who made her failure popular and the original owners of Ecce Homo. No one should be surprised: art is art and art’s interpretation depends on the audience’s individuality these days. But sometimes some mistakes are so bad nobody can call it art. And in the world of restoring art, such mistakes could ruin everything forever. 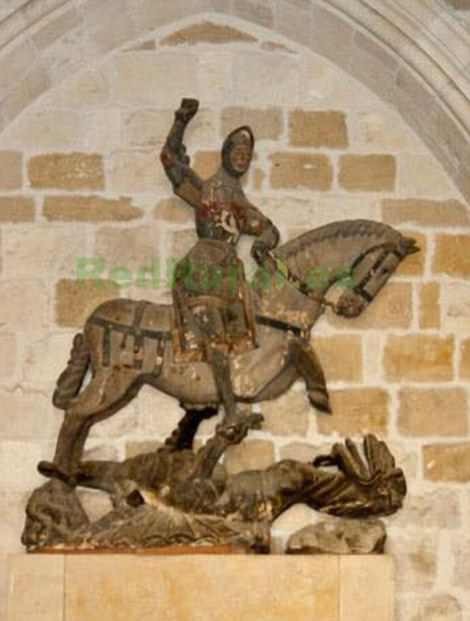 One of the best examples by far is the botched restoration of the 16th-century wood carving of St. George, housed in San Miguel de Estella in Navarre, Spain. The scene was supposed to depict a legendary fierce warrior trampling a defeated dragon with his horse, but the botched operation made him look retarded, for the lack of a more respectful term to accurately describe it. The culprit? Another old timer, this time a local art teacher who fancied himself as an expert. The story goes that the teacher independently set this project to restore the state to its former glory using plaster and paint after the church’s priest commissioned his school to do it. The end result is considered a defacement. Not only were the colors of the original face is lost, local experts concerned with it fears that the damage is totally irreversible. Social media has been merciless, comparing it to Sheriff Woody from Toy Story and calling it a “ninot” or “puppet”, and the statue has provoked an outrage against itself. The city’s cultural department called the statue a fairground carousel ride. Even the mayor of the town of Navarro, Koldo Leoz, tweeted with disgust. The statue in question was rapidly in decay and deterioration. It doesn’t help that the style used is an ancient one called ‘polychrome.’ Experts said that the job should have been handled by an experienced professional, not some teacher of a small art school. Now that Spain is home to two botched art restorations, the St. George incident is being compared with the Ecce Homo incident. At that time a sacred painting in the Sanctuary of Mercy Church was reduced to the laughing stock of Spain when an elderly female painter failed to properly perform restorations on it. Needless to say, many people were aghast and angry at what had happened. Surprisingly, some people liked it and tourist flocked to see it every year. It is, however, unknown if the statue will enjoy the same fame as the painting. For one thing, the statue is the statue of a saint, it’s not Jesus. 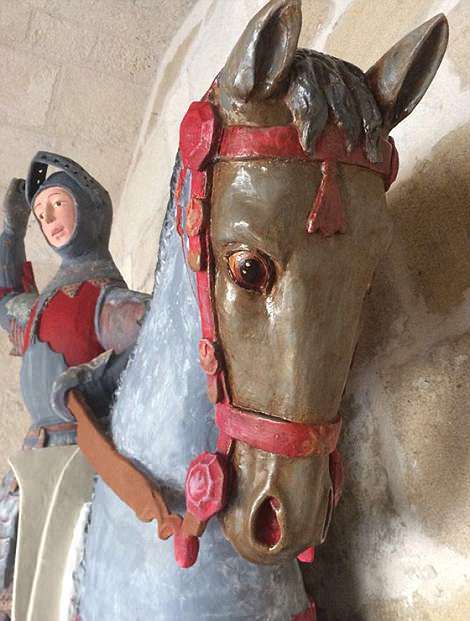 Second, it is the second incident that happened in Spain and the least the statue do was cement the reputation of Spain as the worst restorers of art ever. Here’s to hoping that Spain and Spanish priests, in particular, learn a valuable lesson about commissioning a restoration, considering this is the second time they have a botched project in their hands.